Through fresh-thinking and innovative manufacturing strategies, Ai helps customers increase efficiency, increase quality, and increase profitability. Ai’s global aim of continual improvement focuses on a digital strategy that delivers the visibility and real-time information you need need for managing logistics and delivery performance, and strategically planning their workforce. We’re building a digital tool kit designed to minimise repetitive tasks and eliminate waste. We call it aiWorld. Our people better meet customers’ needs and you save time and money, and reduce stress. Ai’s digital strategy is shaped by everyone in the company. Employees’ insight, input and enthusiasm informs aiWorld. With all eyes on manufacturing innovation, we’re assured fantastic results. We empower Team Ai to advance products and refine processes. Continuous improvement: it’s the Ai way. Ai’s digital strategy is built on a solid foundation of two core principles: real time and visibility. Ai’s ‘Work in Progress’ (WIP) console is an information distribution platform. It’s the reference point for PivotPoint and EdgePoint, as well as job manufacturing and scheduling. The WIP includes stock management, finishing and assembly of products, and delivery dates. 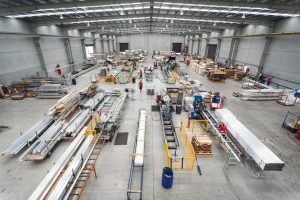 In practical terms, a customer clicks “order” in PivotPoint or EdgePoint and tracks the progress of their product as it moves through the Ai manufacturing phases. Ai increases capacity by supporting our people to reach a higher level and actively seek out opportunities to eliminate waste, refine processes and increase efficiency company-wide. The more we help our people grow, the more Ai and Ai’s customers grow. With each process streamlined by our digital tool kit and intelligent fabrication, Ai increases the depth and breadth of what we can do over traditional manufacturing methodology. Your aluminium is supplied on time and in full. 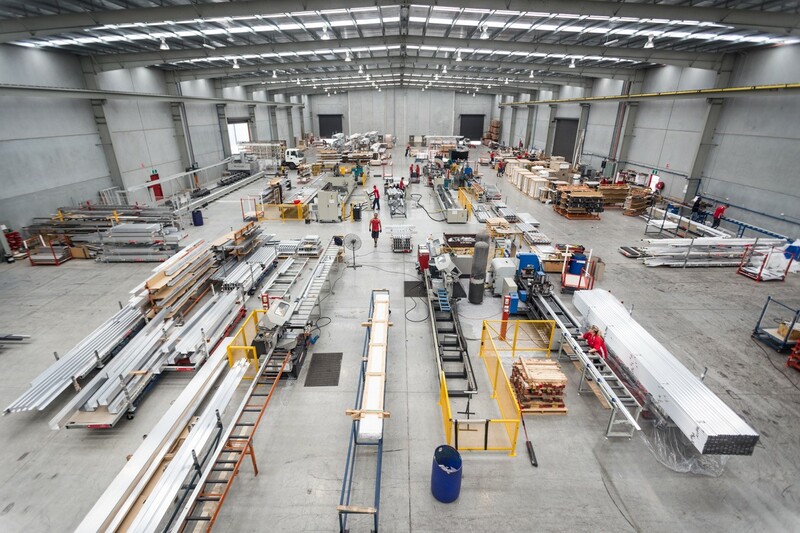 We can help plan your production requirements, finish and warehouse your stock. We offer a just in time service for custom extrusions, with a rapid fulfilment service. Digital manufacturing solutions support collaborative fabrication process planning between design and manufacturing through the use of 3D modelling and computer numerical control (CNC). 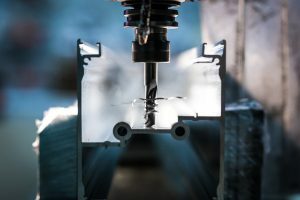 Ai’s design engineers and CNC programmers/operators use these tools to produce complex products that reach beyond the scope of traditional manufacturing. Our team uses leading edge software and equipment, including two 3D printers, and the latest CAD and 3D rendering software. 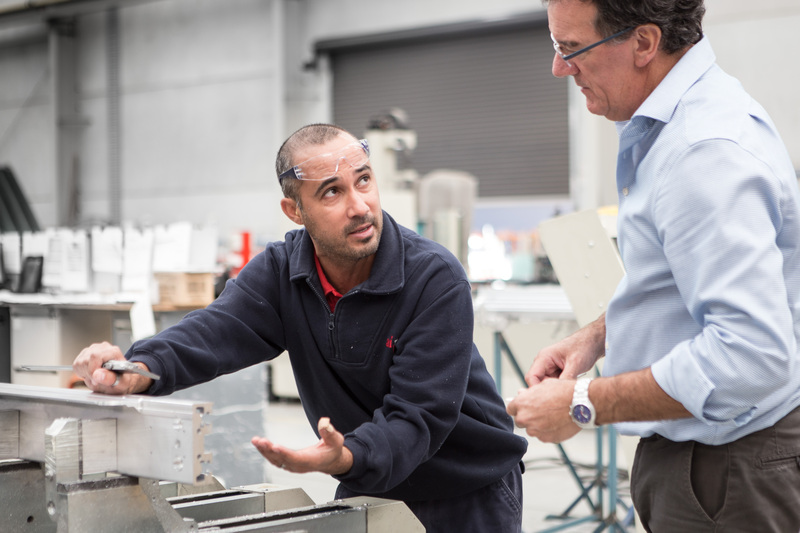 AiFAB maintains a portfolio of CNC machines, operated by people with the training, talent and expertise required to achieve the desired outcome. The work of Ai design is woven through almost every project we do. It supports new product development, specification, product enhancement, customisation, consultative support, documentation and technical support material, and more. Ai design provides project technical support, systems training and focused workshops, as needed for customers. Imagine it, then fabricate it with support from Ai design. Our progressive fabrication team collaborates with the design team to help our partner customers secure bespoke solutions for their projects. Ai design delivers digital manufacturing solutions, for a streamlined “concept to fulfilment” timeline and the ability to effectively examine alternate design concepts prior to die cutting. Ai’s software development team creates programs to help eliminate repetitive tasks and predictable processes. This frees up our people to give more attention to clients. We empower our customers to take an active role in overseeing their projects progressing through our warehouses to more efficiently coordinate their workforce and delivery performance. Part of our service offering includes apps for customers and our people. We’ve collected these apps in a platform we call Home. We scoped Home to be fast, easy, and intuitive, allowing users to get done what they need to do, and to spark a human connection at every touch-point. Ai delivers a total solution for clients, with particular emphasis on what we call “peak service”. Peak service refers to our ability to support customers with fabrication and finishing resources when they experiences a peak in demand or don’t have the existing manpower to meet a tight timeline. Customers turn to the Ai team and our established infrastructure to deliver results. With Ai’s peak service, customers don’t have to say “no” to a project for reasons of capacity. Ai gives customers more with peak service.